Duesmann joined BMW from Mercedes in 2007. 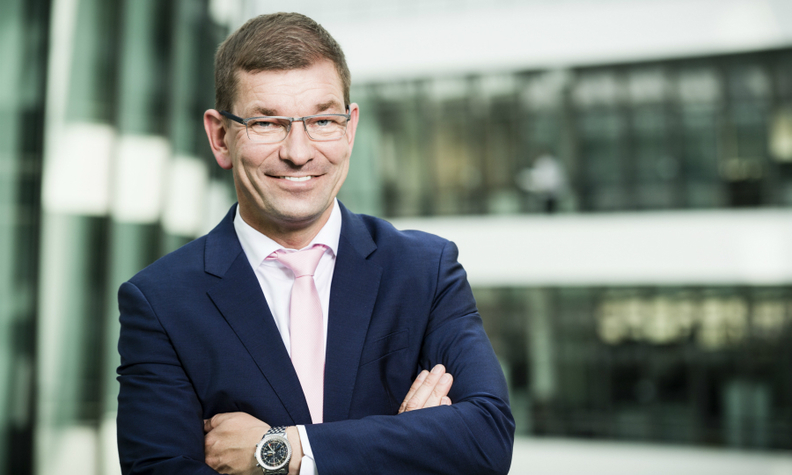 FRANKFURT -- BMW Group has appointed Markus Duesmann, its former Formula One powertrain boss and current engine guru, to the company's management board as head of the purchasing and supplier network. Duesmann will replace Klaus Draeger, 59, on Oct. 1, when Draeger retires after more than 30 years, the company said in a statement. Duesmann, 47, left Mercedes' F1 team, where he was head of development, to join BMW in 2007. After serving as head of powertrain for BMW's F1 team for three years, Duesmann, who has a degree in mechanical engineering, was named the automaker's head of driving dynamics. The German national currently serves as BMW's head of powertrain. BMW Chairman Norbert Reithofer praised Draeger's work in the company statement. "As Board of Management Member for Development, his achievements include promoting efficient dynamics and digital connectivity across the product line-up. At the same time, he consistently implemented electrification under the BMW i umbrella," Reithofer said. "His time as Board of Management Member for Purchasing has been characterized by close and collaborative partnership with suppliers on an equal footing. He paved the way for the division’s forward-looking purchasing policy, focusing equally on innovation, quality and flexibility, as well as cost considerations."